The Bonnot Rubber Bale Feeder solves the most critical issues manufacturers face to deliver tough, sticky rubber bales to their compounding extrusion equipment. One of the most critical issues is size reduction. Bonnot Rubber Feeder’s can handle both full and partial sized rubber bales; along with custom sizes. These bales; usually 25kg or 35kg, are fed into our machinery and ingested with ease utilizing our modern, field tested design. There is no need for any pre-sizing; the bales can be directly fed into our machinery either by conveyor, elevator, robotic arm, or manually. There is no more need for talc or special chemicals; which are needed for granulation and dissolution. This benefit alone creates a much safer production environment for your employees and will reduce the costs associated with these materials. Furthermore, the decibel level created with our rubber bale feeding machinery is much less versus other alternatives, like granulators. The Bonnot Rubber Bale Feeder employs a dual drive design for independent control of the feed and extrusion sections which reduce the output variation to less than +/- 5%. Our Rubber Bale Feeders can be directly mounted to a side port of the compounding extruder creating a positive feed. The addition of a gear pump to the system can improve the process control to less than 1%. 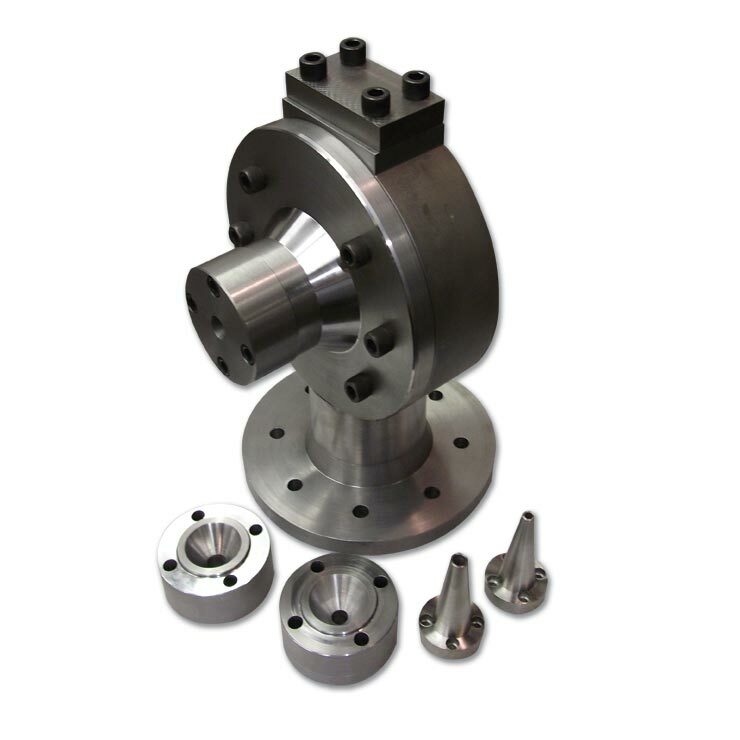 The use of custom designed screws is also utilized for further process control. Our equipment also comes standard with (5) independent temperature control zones. The zones can be run in series or parallel to temper the product to achieve consistent product flow at a desired temperature. 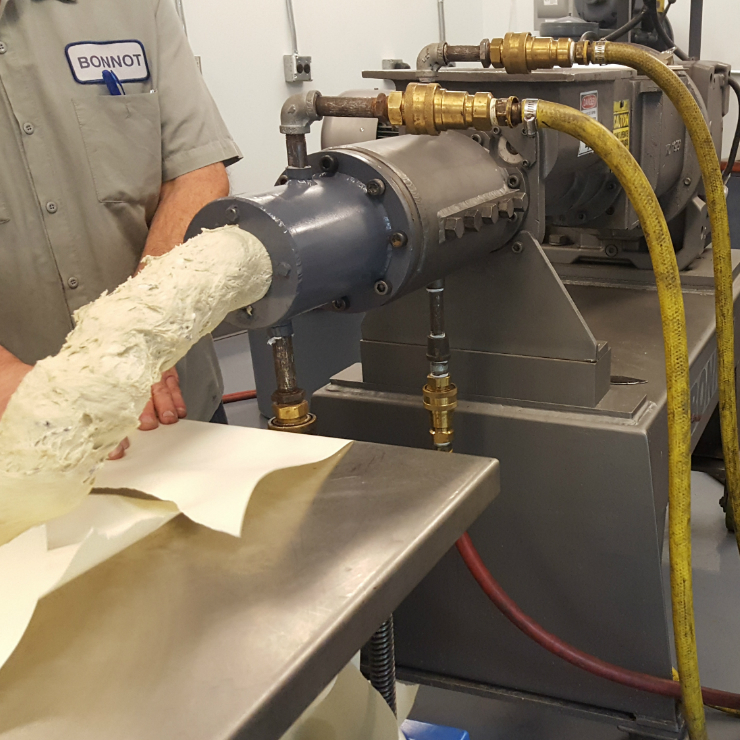 Our system can create just the right pressure and temperature to give the manufacturer maximum flexibility for any type of rubber. Finally, our rubber bale feeder equipment comes in (4) standard sizes 2”, 4”, 6”, and 8” to accommodate many ranges of required output and bale size. The machinery can be further customized to meet other facility constraints such as centerline heights and motor orientations. *Bonnot can create custom designed Rubber Feeders with Material Lifting Equipment. In many instances our customers have a very tight facility constraints. 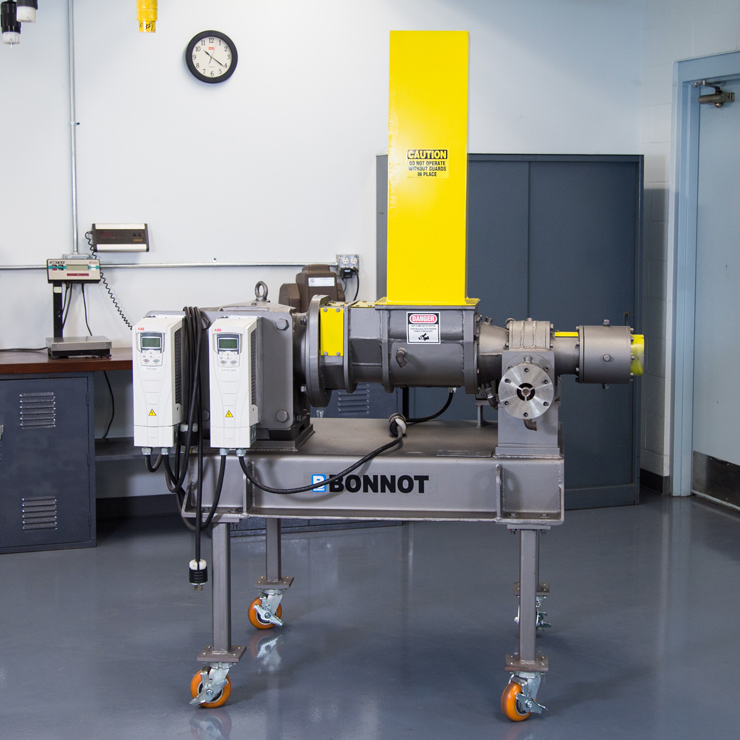 Bonnot has developed custom screws and compact Rubber Feeders that can ingest the full size bales that can process 2000+ pounds per hour down to 50 pounds per hour. We will take your constraints and specifications and design the perfect system to meet your needs. To learn more about our Rubber Feeders and Extruders please download this technical brochure. Please don't hesitate to call us to discuss your project in more detail.